The Jerusalem Press Club (JPC) is a private club where journalists and professionals from a variety of fields gather to meet, network, and dine with local and international thinkers, leaders and prominent news-makers. Located in the historic Mishkenot Sha’ananim neighborhood, JPC, is a gem in the modern city of Jerusalem. It is a home away from home for both foreign journalists residing in Israel as well as their visiting counterparts. Established just outside the Old City walls in 1860, Mishkenot Sha’ananim was founded by the great philanthropist Sir Moses Montefiore and for the last four decades served as a guesthouse and source of inspiration to creative spirits artists, scholars and writers from around the world. Year round the surrounding gardens and facilities are filled with festivals, shows, music, shopping and nightlife all within walking distance. 150 years after Mishkenot Sha’ananim was established, the Jerusalem Press club is the new, hip venue for journalists and professionals to have face-to-face interaction with the rich tapestry of society in Jerusalem, while promoting freedom of the press. JPC members include journalists, diplomats, NGOs, businessmen and business women, as well as journalism and communications students. All members enjoy the benefits networking with each other, working and dining on our veranda with breathtaking views of the Old City of Jerusalem as well as access to all the club’s facilities and benefits. It is a place where journalists can freely report history in the making in one of the world’s most covered regions. News will flow out of the Club. Our briefings and press conferences will help to inform and keep journalists up-to-date on breaking stories and longer term trends. Our Fellows and student programs will help the next generation of journalists improve their skills in a fast paced news environment. The club is the ideal spot for media professionals in Israel, seeking inspiration for a story and the exchange of information between colleagues, in the most amicable atmosphere possible. Prior to becoming Director General of the Jerusalem Press Club, fulfilling a lifelong dream, Uri Dromi was director general of Mishkenot Sha’ananim Conference Center, a venue for international artistic and cultural activities in the spirit of dialogue and tolerance, established by the Jerusalem Foundation. Dromi served as the spokesman of the Rabin and Peres governments from 1992 to 1996, during the dramatic days of the Oslo process and the peace agreement between Israel and Jordan. From 1996 to 2007, he was director of publications and international outreach at the Israel Democracy Institute. A retired colonel, Dromi served in the Israeli Air Force from 1964 to 1989 and continued to fly in the reserves until 2003 after retiring from active duty. 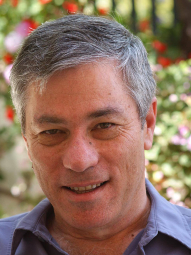 A frequent columnist for leading media publications, he is a book and opera reviewer for Israel’s daily Ha’aretz newspaper, has published three books, and authors a regular column, “Focus on Israel,” for the Miami Herald. He is a graduate of Ben-Gurion University. 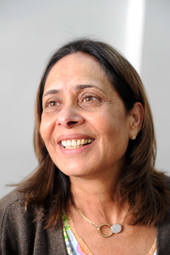 Since her immigration to Israel from Australia (after growing up in India) in 1971, Linda Rivkind has been heavily involved in press activities in Israel. Between 1976 and 2004, Rivkind was in charge of visiting foreign journalists at at the Government Press Office. Since 2004, she has worked for INFO at Mishkenot handling foreign press. Rivkind coordinated the 1995 State funeral of Prime Minister Rabin, the 2009 visit of the Pope, the 2007 visit of French President Sarkozy, the 2006 opening of the new Yad Vashem Museum, the Begin-Sadat summits, visits of Presidents Carter and Clinton, Vice President Mondale, Chancellor Kohl, and coordination of other special events. At Mishkenot Rivkind was the primary connection to all foreign journalists, setting up tours for them, arranging for hospitality dinners with politicians, diplomats and decision makers to facilitate discussions on Israel, arranged all press conferences and facilitated meetings between journalists and newsmakers. She is a graduate of Hebrew University. Margot Madeson-Stern is a do-er, entrepreneur, activist and visionary. 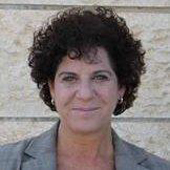 She is the owner and co-founder of Incit.es Boutique Consulting Firm based in Jerusalem, Israel. Margot spent the last five years highly invested in improving the quality of life, society, and services offered by Israeli organizations dealing with a broad range of social issues from education to diplomacy and beyond. 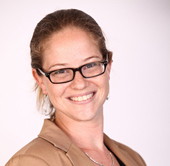 Margot most recently was an Israel Research Fellow, and worked on director levels for the Media Hub Leadel and The Jewish Diplomatic Corps (JDCorps). Margot’s professional background and education is in business, management, international communications, and new media. Having worked extensively on behalf of the global Jewish community, for the last seven years Margot has become a renowned and sought after international speaker on the related subjects of leadership, Israel advocacy, LGBTQ rights, social networking, community building, nonprofit models, business development, and operations strategy. Laura Kam is founder and President of Kam Global Strategies an international strategic communications firm based in Jerusalem. Kam founded the firm in 2012 after seven years of work for The Israel Project’s (TIP) as Executive Director for Global Affairs. She has spent decades working with top press, politicians, diplomats and think-tanks from across the globe. Kam’s work with the world’s leading pollsters, Stanley Greenberg PhD, Neil Newhouse and Frank Luntz PhD in the U.S., Israel, China, India, Russia, Britain, France and Germany has enabled successful strategic communications efforts worldwide. Prior to joining TIP, Kam worked for the Anti-Defamation League in New York, Washington, DC and Jerusalem for 17 years, including as co-director of the ADL’s Israel office. There, she was responsible for all areas of media relations for the League as well as for organizing and implementing missions that brought key U.S. Senators, members of Congress, Governors, law enforcement officials, interfaith leaders, journalists and others to Israel, Jordan and the Palestinian Authority. Kam previously worked as a press officer at the Israeli Consulate in New York City.